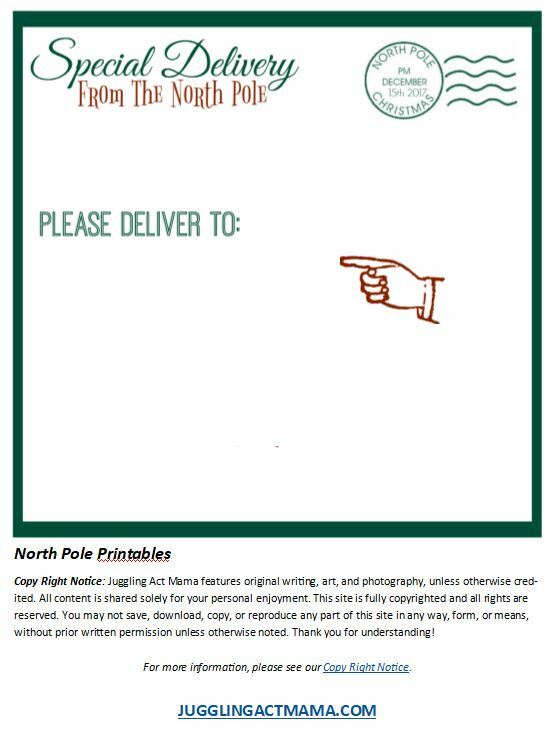 North Pole Toy Collection Printables make Christmas a little more magical. 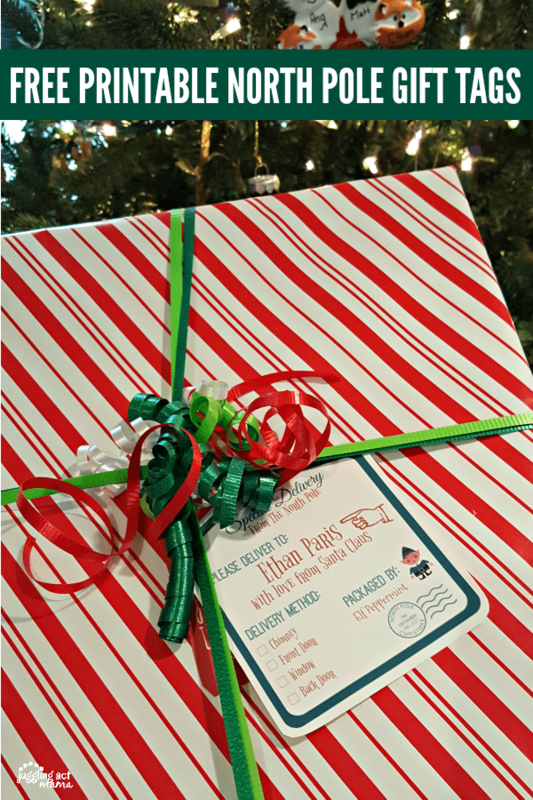 This Christmas, have your children collect toys they’ve grown out of with a little help from Santa or your Elf and our North Pole Toy Collection Printables. My grandfather often used an expression “10 pounds of potatoes in a 5 pound bag” to describe something that was overflowing (often times he was referring to my grandmother’s suitcase!) I feel a little bit like my house is overflowing right now and the thought of finding a home for our children’s new Christmas gifts on December 26th is making me want to cancel the holiday altogether. 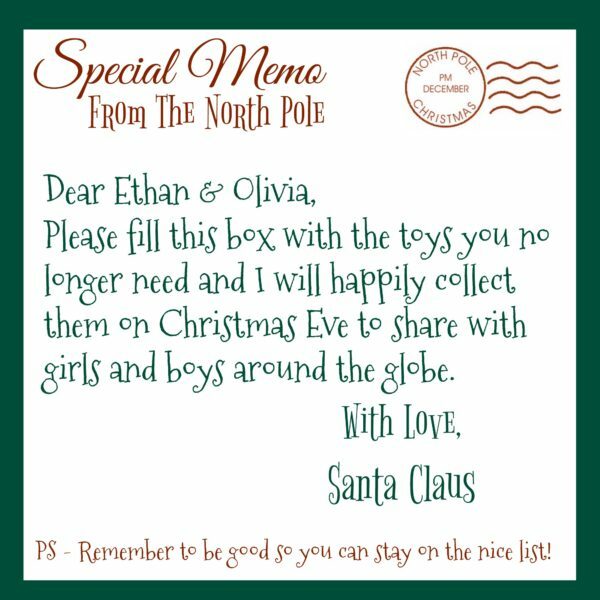 Then I saw an adorable Santa Toy Donation Box idea and knew this had to happen at our house. 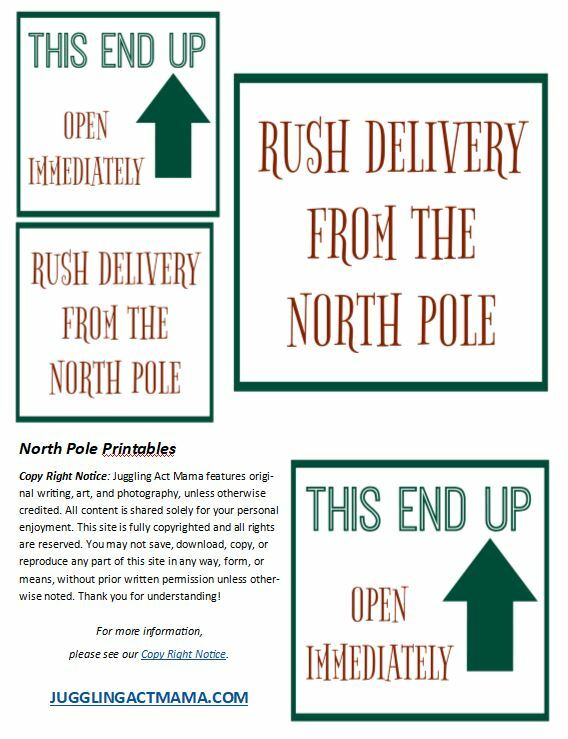 There was just one glitch… we don’t have an elf, so I decided to make my own North Pole Toy Collection Printables and I’m happy to share them with you today! You can print the box labels on sticker paper , and the Memo on card stock . I filled my old Amazon box (hey, the North Pole recycles, too!) 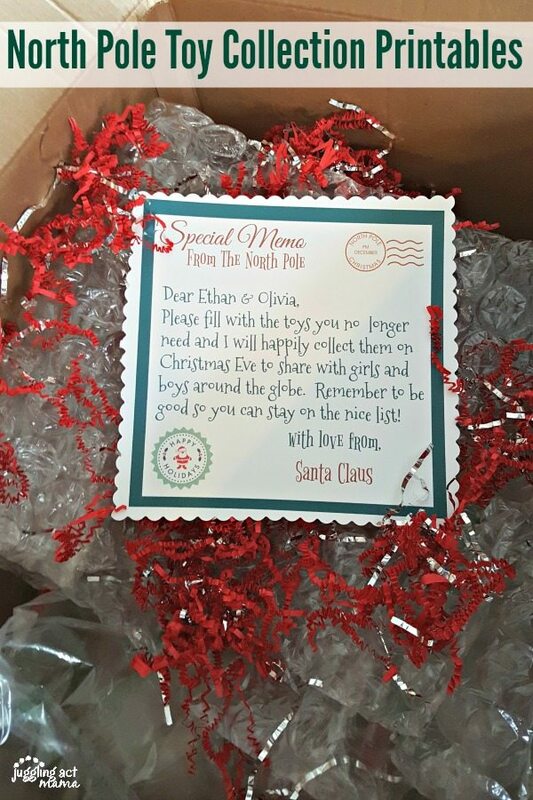 with packing material and some festive crinkle paper , along with the Memo. Our delivery folks place packages on our front steps, so that’s where I staged our box, then I went to pick them up from school, bursting with my little surprise. 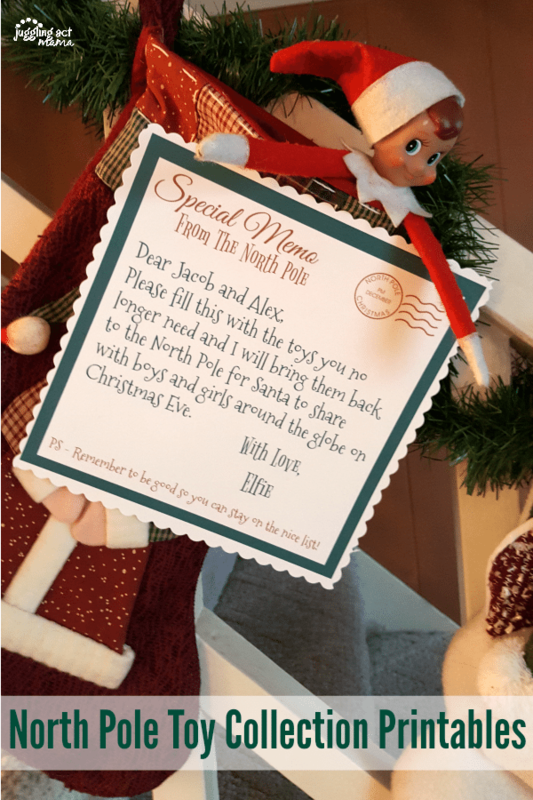 Now, if you have an Elf, like my best friend, you can use still use the printable, just “sign” it with your Elf’s name instead! 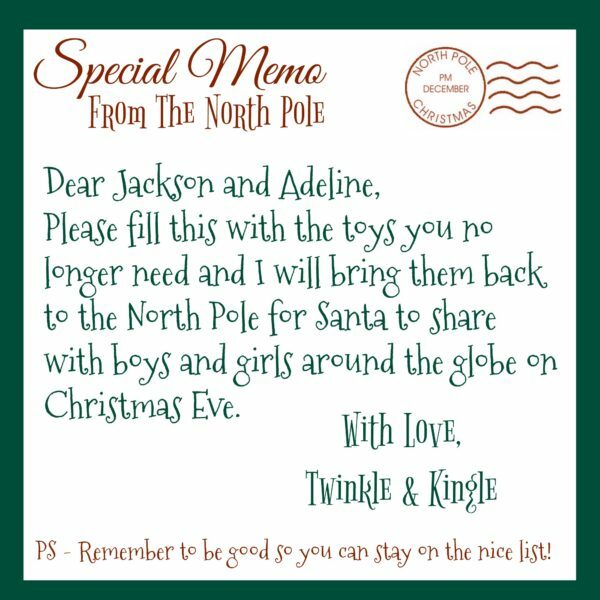 Download The North Pile Toy Collection Printable and personalize them and let your children discover it. These North Pole Box Labels bring the whole thing together. We love to see how you use our printables, so be sure to tag @jugglingactmama on Instagram or Facebook! 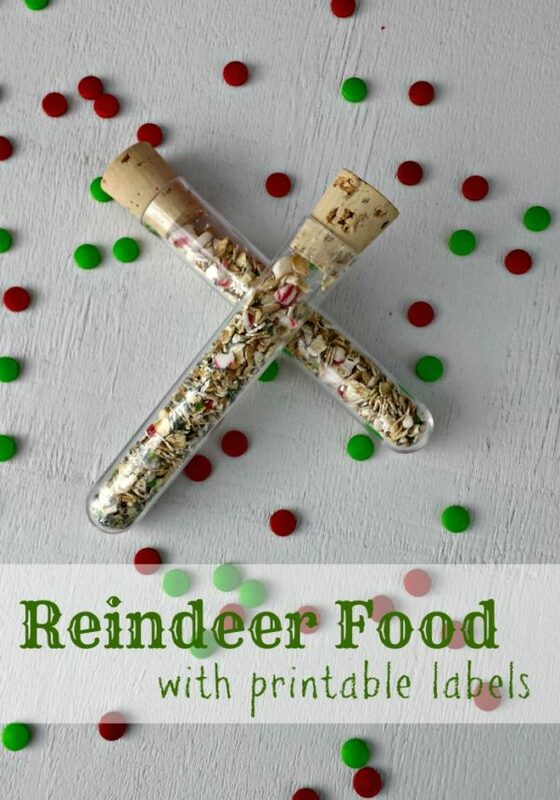 My daughter used these at Christmas and my grandkids were so excited about it. Thank you for the amazing idea! I am definitely using this printable next year! Pinning!